I am so surprised to hear your review. My fiance & I travel nearly every three months, and we are extremely selective about where we stay. 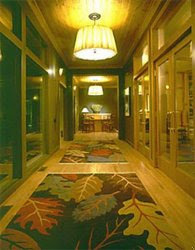 We stayed at the Walden in late 2006, and our best memories involve the service. The staff nearly hand fed us the entire time we were there. We almost wanted to laugh at how "proper" they were! We have NEVER had that type of service before and we generally pay 2x's the price. We did do the hoarse trail, and although the weather was pretty miserable, it was a great activity. Our trip was prior to the Spa opening, therefore 2 massage therapist (whom were contracted) came to our room, and we recieved wonderful service from them as well. Again I am just shocked that you had such a miserable time, because even when we used the Theatre it was a great evening. Although the only movies they had to choose from were 10years+. Also, anyone planning a stay, make sure to purchase a packing that includes the full service breakfasts! So delicious, anything you can think of will be brought to you fresh- as much as you would like. I truly loved the Walden, and in fact I ran into this post because I am taking my mother their to experience it in the a few weeks. I am so glad to see this comment, even if I am seeing it three years after it was left! I think the place is under new management now. I was contacted by someone who said he was the manager and wanted us to come again so we could have a good stay. I was impressed that he cared. When I called I had to leave a message and he never returned my call. Any place can have an off day, or just miss the fact that for a certain guest everything that could go wrong did go wrong.